Morzine is a beautiful Haute-Savoyard village 45 mile south east of Geneva in the heart of the largest International Ski Area in The World - The Portes du Soleil. Morzine began to establish its self as a winter sports resort back in the 1920s. It was in 1934 that the Pleney Cable Car was built. Avoriaz as a resort was developed in the 1960's and this led to the linking up of Champery and Les Crosets in Switzerland. 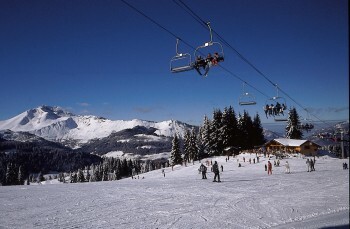 With Chatel and Morgin linking into the system the Portes du Soleil was firmly established as The Worlds Largest International Ski Area in the 1970s. Now there are over 240 modern ski lifts and 650kms of marked piste with acres of off piste, much or which remains un tracked days after snowfall. Even though Morzine has expanded considerably over the last 30 years, the village still retains its Haute Savoyard charm - pretty stone and wood clad slate roofed chalets situated against forested mountainsides with stunning views over the surrounding Chablais mountains. Today Morzine is a vibrant Alpine resort; there are plenty of restaurants, bars, shops to keep the non-skiers of the party happy. Other 'activities' going on in the village include horse drawn sleighs, ten pin bowling, ice skating, fitness centre, cinemas, traditional markets (Wednesdays), excursions to Thonon, Geneva and local buses to Les Gets. Non skiers can take advantage of the Pedestrian lift pass to access the ski area and meet up for lunch in above Morzine, les Gets and around Avoriaz. Après ski in Morzine is as long and hard as you want it to be. The Dixie Bar is one of the main focal points in the old town, while just up the road in the newer part of Morzine, Boudha is popular, while the Crep Schul tests your balance in ski boots dancing on tables! But for late night reveling try Paradise or the Opera night clubs which open at 11pm and go right through to 6am. M Bus - the M bus goes from the Town Hall (300m from Chalet Chantelle) to Ardent via Montriond - this is a great way in to the Portes du Soleil network. N Bus - The N bus connects Pleney, The Tourist Office, past Chalet Namaste, to the Nyon cable car. In Morzine the Petit Train connects The Pleney lifts with the Super Morzine lift which connects into Avoriaz. Ski Mobile is a unique ski hire solution for our guests staying in Morzine. Ski Mobile provides a unique and personal rental service - they are the only mobile ski hire company in Morzine who actually bring a mobile shop to Chalet Chantelle or your hotel. If the equipment you ordered doesn't fit, then they always have a selection for you to try. Book online at booking.ski-mobile.com and save 20%! 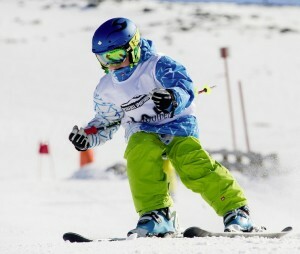 There are a number of ski schools in Morzine. By far the best though is The Avoriaz Alpine Ski School. Run by Ian McKellar an ex British Ski Team freestyle skier, the Avoriaz Alpine Ski School offers group courses for skiing and snowboarding children through to adults, beginners through to advanced. In small groups of no more that 8 they will coach you through the series of skills enabling you to ski and/or board the whole mountain. They are slightly more expensive but the small groups guarantee that you progress quickly. The Portes du Soleil is a fabulous ski and snowboard area, not only it is just under 1 hour from Geneva airport it is also the World's Largest International Ski Area with over 230 fast efficient ski lifts, 650 kms of marked ski runs connecting a series of 13 villages which straddle the French Swiss Border. We recommend that all beginners head up to Avoriaz and the Avoriaz Alpine Ski School. Under the careful instruction from Ian McKellar and his professional team of English speaking instructors, beginners will soon progress off the nursery plateau on to the greens runs of Super Morzine - Proclou is a long 4km wide green run serviced by a detachable high speed quad chair lift. Moving on the blue runs down to Les Lindarets offer a real sense of achievement. Later on in the week once the snowplough turns and stops have been mastered beginners can head over to Morzine and ski the beautiful tree lined runs between Morzine and Les Gets. The Portes du Soleil is an intermediates paradise; the only hard thing to do is to decide which way to go each day! Take a day to explore Morzine and Les Gets - perhaps tick off a black run in Ranfolly. Mont Chery offers wide open skiing on quiet slopes but accessing the area does involve a 5 minute trek (or wait for the road ski train) across Les Gets. Avoriaz offers high altitude open runs and access to the rest of the Portes du Soleil - head over the Switzerland and ski down the long Grand Paradise to Champery - beautiful views, chocolate box chalets and Chamois (the legendary mountain goats) to spot. Chatel offers long wide runs and you must take a day to ski the full Portes du Soleil circuit. Advanced skiers and borders will never get bored in the Portes du Soleil. Mont Chery in Les Gets offers one of the steepest black runs in the area, you could spend all day on Chamossiere alternating between a red, black and off piste. 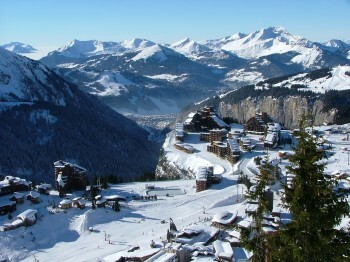 Avoriaz has an area known as les Hauts Forts - a series of black runs with a vertical of well over 1000m. Of course every skier wants to tackle the Wall - a legendary black run between France and Switzerland. Chatel offers long carving runs, ski the circuit clockwise and anti clockwise. Head over to Torgon for Swiss Blacks runs at their best. If you are looking for off piste, then look out for Happy Valley, Hidden Valley, The Mossette Couloir, the Swiss Couloirs as well as the fabulous Vallee de la Manche. To see ski hire prices, click here.